Leadership is all about service with Jesus as our example, we are honored and privileged to lead, guide, and sacrifice for the South Lakes community. Tiffany has been part of South Lakes, and served on staff since February ’18. She is passionate about every youth student and has a desire to help them find a deeper relationship with God. 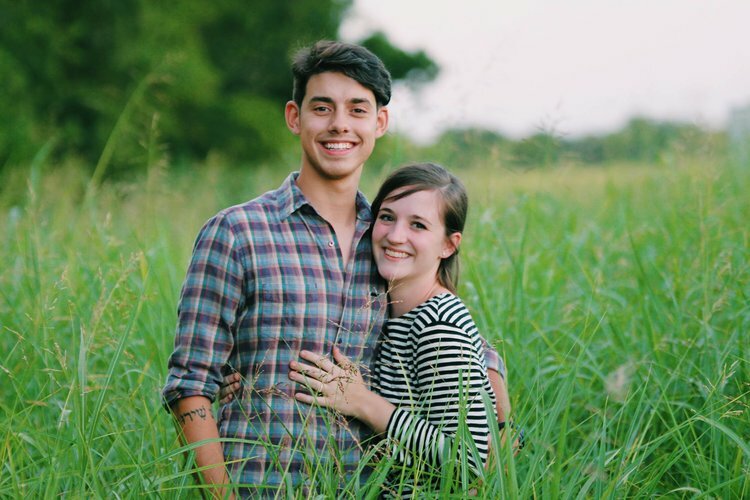 Tiffany and her husband, Grant, love meeting new people, serving, traveling, and their two dogs. She’s lived in Moore her entire life and enjoys antiques, coffee, Qdoba, and Christmas! Joey has been involved in various aspects of ministries for over 16 years, serving in multiple student and young adult ministries. In August '15, God called Joey and his family to start a new chapter of ministry that eventually became known as South Lakes Church. Joey's desire is to see the church advance the Kingdom of God throughout Oklahoma, the nation, and the world. He has been married to his wife Kristi since '04, and they have two beautiful daughters, Keira and Everly. Joey's greatest passion is to see people engage in genuine discipleship while being equipped to carry out the work of ministry within the local church. Melinda has been part of South Lakes, and served on staff since September '16. She is passionate about spreadsheets and numbers. Melinda and her husband Kyle enjoy spending time with their two cats, hiking, and playing board games. Alexis has been a part of South Lakes since the start, and has been on staff since August 2018. She is passionate about discipling kids of all ages and of all abilities, and loves to see kids encounter the transforming love of Jesus. Alexis graduated from the University of Central Oklahoma with a degree in Special Education, and spent a few years in a classroom setting before joining ministry full time. She loves spending time with her husband, her two dogs, and is expecting their first daughter, Eden. She enjoys a good taco, traveling, and writing. Rico has been part of South Lakes since the beginning, and served as intern. He joined the staff at the beginning of 2018. He is passionate about seeing new guests getting plugged in and growing in their walk as believers. He enjoys serving in the worship band, hanging out with the youth, and leading discussion in the college ministry. Rico and his expecting wife Alexis keep busy with their two big dogs and their involvement in the special needs community. Rico likes (virgin) pina colodas and getting caught in the rain. He enjoys watching movies, playing soccer, and travelling. Carrie has been serving at South Lakes as the Preschool Director since 2015. She is passionate about serving families with young children by encouraging a safe loving environment for young children to learn about the Lord through songs, stories, and play. She has been married to her husband Daniel since 2008 and they have two daughters, Isabella and Elizabeth. She enjoys spending her free time with family and friends, reading historical novels, and browsing Pinterest. TJ has been part of various worship ministries in different aspects for the last 15 years. He joined the staff of South Lakes in September '16 bringing with him a passion to lead people in worship through song. In his spare time he likes to spend time with his Fiance Hope, growing as a worship leader, hanging out with his friends, and building whatever strikes his fancy. TJ was born and raised in Oklahoma, and doesn't see that changing anytime soon. TJ is always up for an adventure of any sorts, but has a very loose sense of the word. I am a sophomore studying Journalism at the University of Oklahoma. I have a passion for meeting new people and developing relationships with others. I grew up in Duncan, Oklahoma and have been involved in church my entire life. I love movies and TV shows, along with Dr. Pepper, milk and Mexican food!